St. Augustine is the most widely used variety of sod throughout the state of Florida. St. Augustine produces a lawn with a deep green to blue-green color and establishes quickly and easily making for a great yard. While Floratam is the most common strain of St. Augustine used, there are many different varieties used for different applications. Floratam can be used in full sun, and in areas that have partial shade. If you are looking for something with a little more shade tolerance, please visit our shade-varieties section for more information. 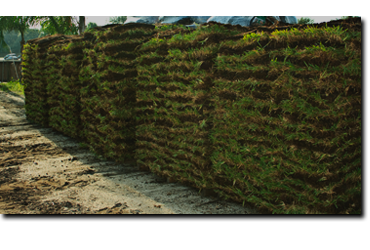 St. Augustine sod is by far the most popular variety used in the state and has been for the past 30 + years. So if you are looking for an excellent turf choice that has proven itself for years, replace your lawn with St. Augustine today.